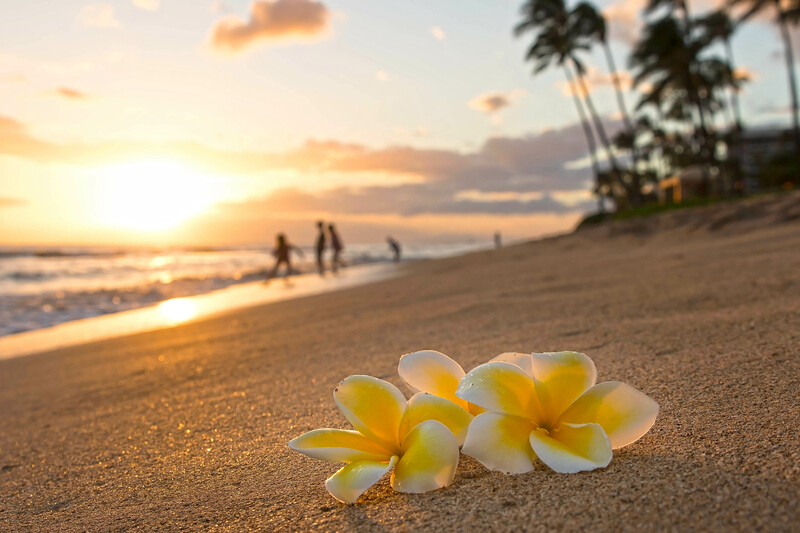 Aloha is a Hawaiian word that can mean hello or goodbye, two words that have profound significance to the immigrant experience. Aloha can also mean kindness and compassion. It is with a welcoming spirit, coupled with compassion and kindness, that Aloha Immigration was born. With more than 20 years of experience in immigration law - and more than 30 years of involvement in defending immigrant rights - we offer a proven philosophy and work ethic, client dedication and a very unique perspective on US immigration. Have a look below to get to know us a bit better and feel free to contact us to see what we can offer you. A lawful permanent resident (LPR) can live and work in the U.S. on a permanent basis and given a “green card” as proof of that status. Lawful permanent residents can leave and re-enter the U.S. but can lose status if they are outside of the U.S. for too long. Most lawful permanent residents are eligible the apply for naturalization (U.S. citizenship) after 3 or 5 years, depending on how LPR status was acquired. There are a variety of paths to getting a green card, with the most common being through an immigrant relative petition filed by a close family member. Not everyone with a family member qualifies, however, which is why it is important to consult with an immigration professional before applying. United States citizenship has its advantages – no more green card renewals, the ability to vote, ease in travel to many countries, and the ability to petition certain family members to immigrate to the U.S. Applying for citizenship can have some pitfalls, too, because any application submitted to USCIS gives the government the opportunity to heavily scrutinize the applicant’s background. This can sometimes lead to removal (deportation proceedings) if real or perceived issues are uncovered. For these reasons, It is best to have your options professionally evaluated, and Aloha Immigration can help with that, along with application preparation and representation during your interview. Immigrant and nonimmigrant visas are issued by consulates abroad, and visas are required for many people seeking admission to the U.S. for business, to visit, or to reside long-term. Aloha Immigration offers assistance to help you determine the best visa option available, filing petitions and assistance with the often confusing process of visa issuance at foreign consulates. On the other hand, an apostille (pronounced “ah-po-steel” and is French for “certification”) is a validated birth, death, marriage, civil union and divorce certificate by the Hawaii State Department of Health. Aloha Immigration can directly arrange these important documents as well for our clients. Over the years, U.S. immigration laws have expanded to provide options for survivors of many different types of serious crimes including domestic violence from a U.S. citizen or permanent resident parent or spouse, human trafficking, and other crimes. Aloha Immigration has assisted hundreds of people subjected to such trauma to be able to remain in the U.S. where they can work on rebuilding their lives. Marriages to U.S. citizens that are less than 2 years in duration at the time of green card issuance result in a 2-year conditional permanent resident (CPR) status. Before the end of that 2-year status period, USCIS requires the filing of additional documentation. Sometimes marriages don’t survive the 2-year period, and often the immigrant spouse can file to remove the CPR status alone. We can explain the options and steps to removing CPR status and help in gaining the 10-year green card. Getting served with a Notice to Appear (“NTA”) for Immigration Court can be a stressful and scary experience. With 20 years of experience in representing individuals in removal proceedings, Aloha Immigration can provide a comprehensive evaluation of options to fight for you to stay in the U.S. We have extensive experience in bond hearings, adjustment of status, cancellation of removal, waivers, asylum and withholding and other forms of relief from deportation. Clare Hanusz founded Aloha Immigration in June 2017, after working with the Immigration Practice Group at Damon Key Leong Kupchak Hastert in an Of Counsel affiliation since October 2013. Born and raised in Toledo, Ohio, Clare has lived in Honolulu since 1995 (with an 18-month move to Melbourne, Australia from 2012-2013). After graduating from Ohio University’s Honors Tutorial College in 1991 she moved to Arizona worked for the Valley Religious Task Force on Central America, advocating for immigrants and more just U.S. foreign policies. The opportunity to meet and work with refugees and their attorneys in Arizona propelled Clare to pursue a career in immigration law, and she enrolled in the University of Hawaii’s William S. Richardson School of Law in 1996. While a first-year student, she was awarded a fellowship from the National Lawyers Guild for a summer internship with the Florence Immigrant and Refugee Rights Project in Florence, Arizona. It was there, in the summer of 1998, that Clare litigated her first deportation case for a Spanish-speaking detainee. Upon returning to Hawaii she continued her work with immigrants, serving on the Board of Directors with Na Loio (now the Hawaii Immigrant Justice Center at Legal Aid) where she also spent a summer as a legal intern. After graduating from law school in 1999, Clare worked at Na Loio heading up a Neighbor Island immigration project to bring legal services to immigrants in rural and isolated communities. She also worked for a two Honolulu law firms and had a solo practice under the Law Office of Clare Hanusz. Clare has represented hundreds of individuals before the immigration court, the Board of Immigration Appeals, the Ninth Circuit Court of Appeals and U.S. Citizenship and Immigration Services. She has assisted clients with naturalization, adjustment of status (“Green Cards”), U visas (for immigrant victims of certain serious crimes) and T visas for victims of human trafficking, as well as consular processing, waivers of inadmissibility, asylum, special immigrant juvenile status, employment based and religious worker visas and options for immigrant survivors of domestic violence. Clare is the recent past Chair of the Hawaii Chapter of the American Immigration Lawyers Association (AILA), and has served as local AILA liaison to Immigration and Customs Enforcement (ICE) and as co-chair for the Advocacy Committee. She is also a member of the National Lawyers Guild’s National Immigration Project and a founding member of the Hawaii Coalition for Immigration Rights and the Hawaii Coalition for Civil Rights. She has partnered with the American Civil Liberties Union to litigate cutting-edge motions to suppress in immigration court and serves on the ACLU of Hawaii Litigation Committee. She has written on immigration issues for the Hawaii State Bar Association, AILA, and local publications, and has spoken locally and a nationwide. She has been featured in local, national and international news. Clare lives in Honolulu with her husband Nevi, a professor of political science at the University of Hawaii at Manoa, and two children. Public school advocacy is another of Clare’s passions and she currently serves on the board of Parents for Public Schools-Hawaii. Her full resume can be found here. Our clients love us! See the reviews below. Many law firms claim to put their clients first. At Aloha Immigration, we promise to do the following and let clients decide for themselves. Responsiveness: Aloha Immigration strives to reply to all client communications promptly – usually within one business day and oftentimes less. Participation: Aloha Immigration will give our clients timely notice of all meetings, USCIS interviews, and court appearances in their matter. Deference: Aloha Immigration will defer to our clients’ goals throughout representation. Case Updates: Aloha Immigration will provide all clients with a monthly case email update with the current status of their case. Confidentiality: Aloha Immigration will maintain all client confidences. Information Access: Aloha Immigration will provide our clients with copies of all materials provided to us or prepared by us for their cases. Dismissal and Discipline: Aloha Immigration acknowledges our clients’ right to dismiss us at any time and will provide our clients with information about how to file a complaint with Bar Council in our jurisdiction. 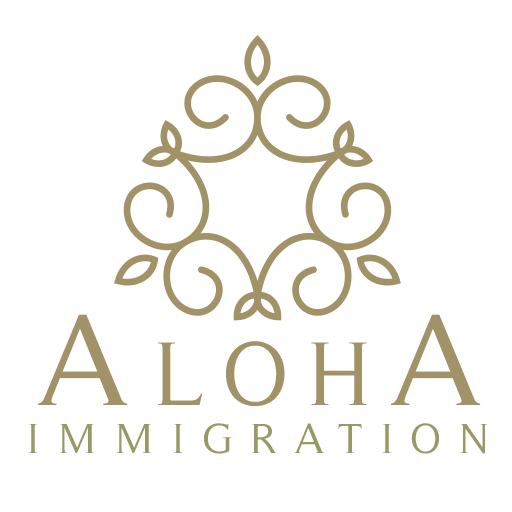 Engagement Agreement: Aloha Immigration will provide each of our clients a clear written engagement agreement, signed by us and counter-signed by our clients, outlining the scope and objectives of the representation, the fees charged, and payment terms. Itemized Bills: Aloha Immigration will provide our clients with itemized bills on a regular basis describing the specific tasks performed, and, if billing by the hour, the hourly rate and time spent by each person on each task. Hawaii ‘Dreamer’ Protest: ‘This Is The Worst Thing He Could Have… At least 100 protesters took to the streets of downtown Honolulu on Tuesday afternoon, part of nationwide rallies against President Donald Trump’s plan to rescind the Obama-era program that protects young undocumented immigrants who came to the country as minors.